This entry was posted on November 21, 2016, in Upcoming Events and tagged 2017, Blood Donor, BLOOD DRIVE, give the gift of life, giving equals living, January 8, Save Three Lives, sunday, Thank you for caring. Blood Drive, Thursday, October 6th 12-8 held in Miles Hall. 474 Wantagh Avenue, Levittown in Miles Hall. Your blood donation is always needed. Coupons will be given out to blood donors for a free sandwich or salad at McDonalds. Call 516-731-3808 to schedule an appointment. We are in need of volunteers to greet the blood donors. If you would like to help greet the blood donors, please contact Joan Tischner. 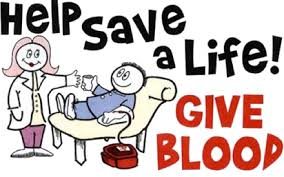 This entry was posted on August 25, 2016, in Upcoming Events and tagged blood donors needed, BLOOD DRIVE, donations are needed, donors needed, fall blood drive, give the gift of life, giving equals living, The First Presbyterian Church Of Levittown. The First Presbyterian Church of Levittown is hosting their Spring Blood Drive on Thursday, April 21st. from 2-8pm. in Miles Hall. A blood donation can save up to three lives. Give the gift of life and donate blood on April 21st. Please contact the Church office at 516-731-3808 to schedule your blood donation. . This entry was posted on March 23, 2016, in Upcoming Events and tagged april 21st., blood donation, blood donations needed, BLOOD DRIVE, donations needed, give the gift of life, giving equals living, The First Presbyterian Church Of Levittown. Please come out to donate Blood on Sunday, December 27th. from 9-1:30pm at the Massapequa Church in the Fellowship Hall. This entry was posted on November 19, 2015, in Upcoming Events and tagged BLOOD DRIVE, donors, gift of life, give blood, giving equals living, members, SAVE A LIFE. This entry was posted on September 30, 2015, in Verse of the Day and tagged belief, believe, bible, bible scripture, bible study, bible verse, BLOOD, BLOOD DRIVE, church life, daily prayer, daily scripture, daily worship. Blood Drive, Monday, October 5th. from 10:00a.m. to 4:00p.m. Fall Blood Drive on Monday, October 5th. from 10:00a.m.-4:00p.m. There is no better gift then the gift of life. Please take some time out of your busy day to donate blood on Monday, October 5th. You can contact the Church office via phone or email to reserve a time slot to donate blood or the signup sheet is in the Church Narthex. We are also looking for volunteers to host the check in table from 10:00- 4:00p.m. If you would like to volunteer your time to check in blood donors, please contact Robin in the Church office. This entry was posted on August 28, 2015, in Upcoming Events and tagged blood donation, BLOOD DRIVE, donor, fall blood drive, gift of life, members, SAVE A LIFE, The First Presbyterian Church Of Levittown, volunteer. The First Presbyterian Church of Levittown is hosting their Spring Blood Drive on Thursday, April 16th. from 12:00 to 8:00pm. Please help save a life and donate blood. You can also volunteer to staff the event. If you would like to donate blood or volunteer to staff the event, please contact Robin in the Church office at 516-731-3808. Remember Giving = Living – Save a Life…Donate Blood. This entry was posted on February 16, 2015, in Upcoming Events and tagged BLOOD, BLOOD DRIVE, charity, donate, give blood, SAVE A LIFE.